Today everyone wants a whiter and bright smile, but what most people do not know is that this dream can easily be turned into reality. The 16% Carbamide Peroxide teeth whitening gel from ProWhiteSmile is all you need to remove all the surface stains and deep colorations on your teeth. Use custom-made bleaching trays with 16% carbamide peroxide gel. The best thing about this product is that you do not have to worry about the cost; it is inexpensive. 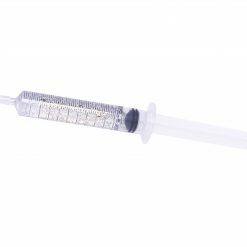 You can buy the carbamide gel 10ml syringes for just £9.99. 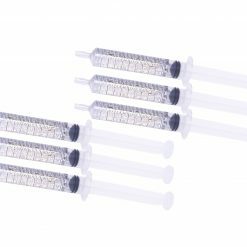 To give you extra savings, get a pack of 4 syringes for £34.99, or a pack of 6 for £49.99. With our whitening gel, you are no longer need to make 3 or 4 visits to your dentist and spend big to have your teeth whitened. Carbamide peroxide is a common yet important ingredient in dental whitening gels. It is an effective way of teeth bleaching. This whitening gel is for those who are at least 18 years old and a consultation with your dentist will confirm you are a good candidate and in good oral health. Carbamide peroxide is a slow-acting agent in tooth bleaching gels and it is safe so you can wear it overnight, however, ProWhiteSmile bleaching gels are only worn for 30 minutes at a time. It recommended using the whitening gel for 14 days. Our whitening products are not available over the counter. 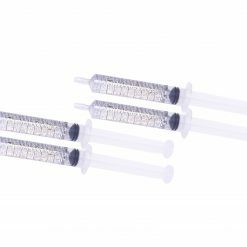 We supply it to you in conjunction with your Dental Professional; and you need not worry about its effectiveness, as these are the best you can find in the market. Used by Dentists around the world. You need to make sure that your teeth are in good condition before using the gel. Dentists can also give you professional guidance and advice on its application and expected results. With some gels, you may experience sensitivity to hot or cold fluids or even air. This is an effect that can normally be expected from most tooth bleaching gels. ProWhiteSmile teeth whitening gels are low sensitivity. To minimize the sensitivity, you may use a desensitizing gel or toothpaste that has potassium nitrate contents or discontinue its use temporarily until the sensitivity dissipates and then start the process again. The results of bleaching your teeth can vary, depending on the degree of discoloration and the stain. Many people get whiter teeth in just a few days, while others may take weeks and even months. Yellow-colored teeth are easier to bleach than gray teeth. Remember that this method of teeth bleaching works only on natural teeth and does not include veneers, bonding, bridges or caps, and other dental works. Your newly whitened teeth results can be long-lasting, well over a year or more, Less with bad oral hygiene and things like smoking and eat staining foods. This entry was posted in Uncategorized and tagged 16% Carbamide Peroxide.